tastes extra good and the day just feels so full of possibilities. I'm grateful. the world and you'll be a happier, better person. everything you do for me." Do something nice for them this week if you can. to your friends. It's one of the most important relationships you'll ever have. morning when I wake up. We talked about the people and things we are thankful for, now time to pay it forward. 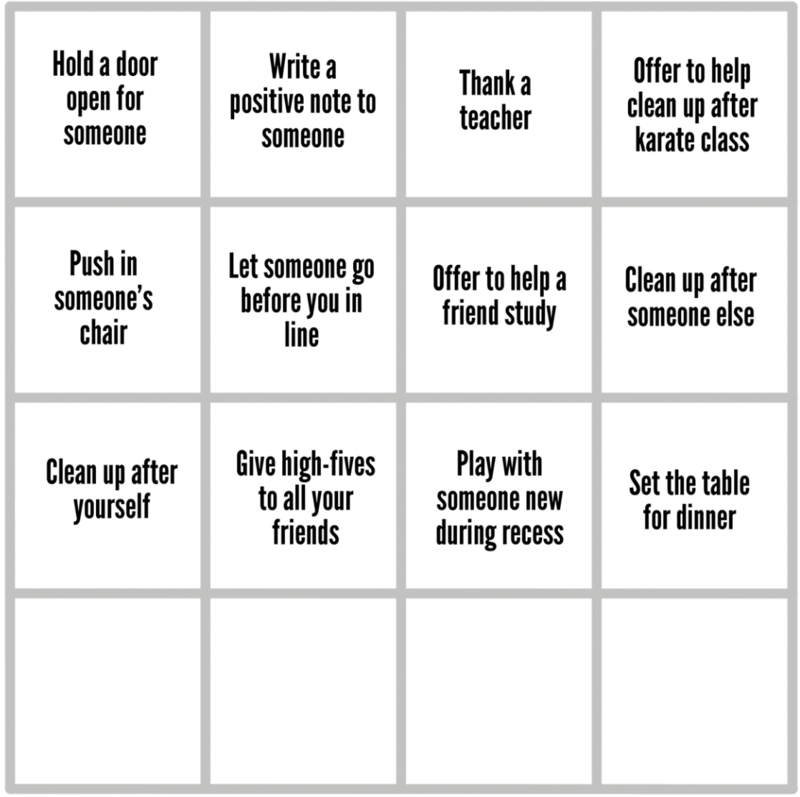 See how many acts of kindness from the grid you can Cross off as you go.